Ram Charan and NTR's multi starrer Rrr with Rajamouli is the talk of the town across the country. 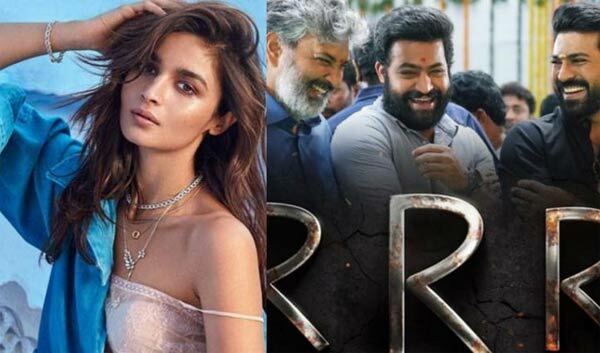 Expectations are soaring as it happens to be Rajamouli's first after his magnum opus Baahubali and sparks are expected to fly on screen with top stars Ram Charan and NTR in the lead. The film is progressing in full swing with Rajamouli wrapping up the first schedule last December well before his son's marriage and currently shooting is on for the film's second schedule. Rajamouli is canning high voltage action scenes on Ram Charan and NTR in the backdrop of extravagant sets. In the meantime intense speculation is on about Rrr's heroines. Rajamouli is said to have finalized heroine for Ram Charan and hunt is on for NTR's hottie. As per reports, Rajamouli contacted Bollywood beauty Aliya Bhatt for the heroine role opposite Ram Charan. However, heroine isn’t yet locked for NTR. Buzz is Ram Charan is playing the role of a powerful cop while NTR will be seen as a muslim dacoit in the story set in the Pre Independence Era in the backdrop of 1920s. Shocking News on Sye Raa Release!